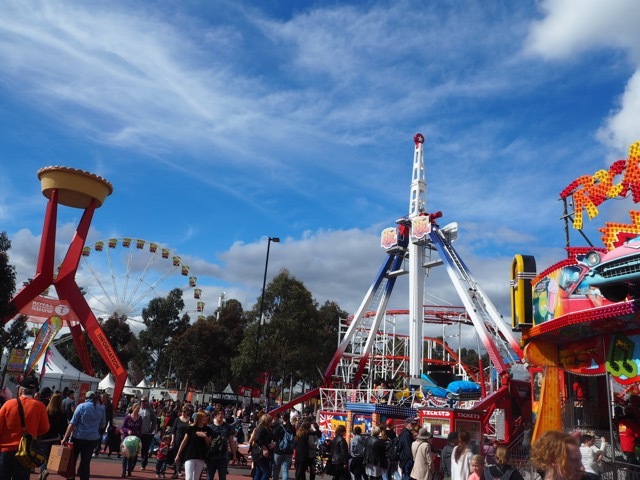 A trip to the Royal Melbourne Show is a classic family day out and this year we were super excited to be taking the poppets for the first time. We had no expectations on what we would see or how long we would visit, we were just excited to be sharing this experience with our little ones. Overall we managed to explore more of the show than we thought we would and stayed for about 4.5 hours (arriving at 10am and leaving at 2.30pm). Pre-purchase tickets online (including ride passes) to save time at the gate + you can save up to 10% on the admission price. Get there early when the gates open at 10am. It's much quieter first thing and you won't need to wait in queues for as long. We visited The Animal Farmyard and The Farmhouse first. 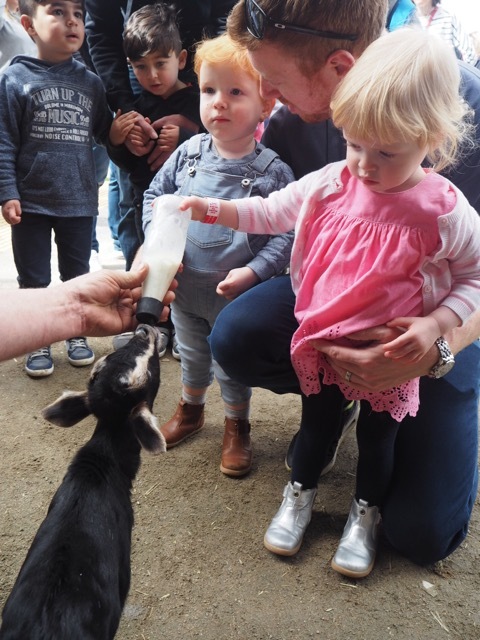 There was so many hands-on activities for Arlo and Macy to participate in; bottle-feeding a baby goat, patting a chicken, brushing little piglets, digging for veggies in the dirt, grinding wheat into flour and planting herb seedlings. The Jayco Animal Nursery is one of the most popular pavilions at the Show and a must-do for animal lovers. 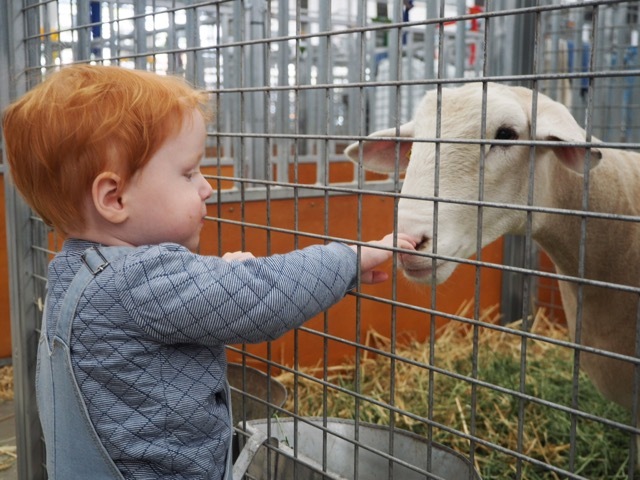 You can get up close to lambs, ducklings, chooks, goats and many more cute animals + you can even grab a cup of food for just $2 to hand feed the animals! The Kids Carnival is a ride precinct specially designed for children aged six and under. We jumped on the miniature train and took a spin on the teacup ride. So much fun for little ones and perfect for mumma who is scared of the big rides! The Woolworths Fresh Food Pavilion is jam-packed with delicious produce including lots of samples! 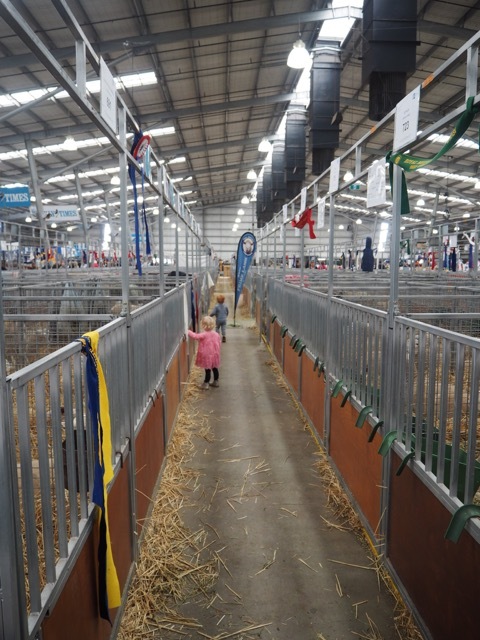 The poppets loved running up and down The Weekly Times Livestock Pavilion seeing the sheep and beef cattle that were all competing for blue ribbon glory. Watching a sheep have a sneezing fit was also pure family entertainment! At the Herald Sun Arena, Arlo was completely mesmerised by the high impact action of the Freestyle Motocross Show. We will definitely have to spend more time watching shows in the arena next year. We decided to bypass the showbags but did play a few sideshow games on our way out. Watching their little faces light up when they were handed their prizes after a game of Laughing Clowns was pretty cute. Although it can get really congested in certain areas, we found the Show to be really pram friendly (even with our double Bugaboo Donkey). We were able to easily leave it nearby when we went inside the animal enclosures and on the rides + it helped when the little ones were getting tired on our way back to the car. For more info about the Royal Melbourne Show, checkout their website. For more school holiday ideas, checkout our Melbourne holiday guide.